Temperatures are on the rise all over the world, and according to one recent report, summers are much hotter than those people experienced in the 1950s and 1960s. While a great deal of research is being performed to discover the reasons behind these warming trends, you might be dealing with the heat closer to home. Summer is time for your kids to play outside, join sports teams, and ride bikes, but the hotter temperatures may put them at risk for heatstroke. However, there are a few ways to spot the signs and symptoms so you can treat them quickly. 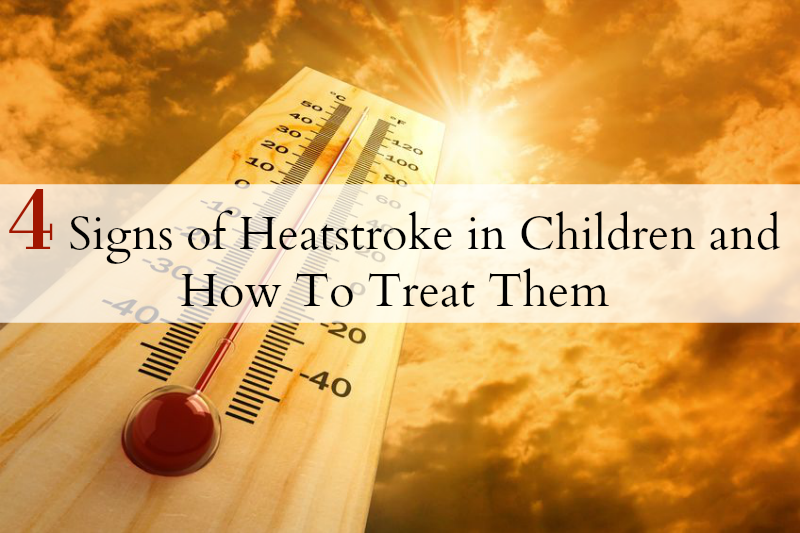 If your child comes in from playing on a hot day and complains that he or she feels dizzy or lightheaded, this could be the first sign of developing heatstroke. This symptom is usually brought on by dehydration, as older kids might forego heading inside for water to play with their friends longer. The dizziness could be mild to moderate and come on suddenly. If you suspect the heat is to blame, get your child to a cool room and have him or her sit or lie down quietly. If the dizziness is accompanied by a headache, this could be another sign. Take the child’s temperature; if it is over 102, call 911 immediately. Sweating is the body’s way of cooling itself. The hotter it is outside, the more likely your child is to sweat. However, if you notice that his or her skin is hot and dry, this could be a sign of heatstroke. Nausea may accompany this symptom. Use cool cloths and ice packs to cool down your child’s skin. You can also place him or her in a cool bath to lower the body’s temperature. Ice packs can be placed under the armpits and on the back of the neck to increase blood flow. Once dehydration and sunstroke sets in, your child may exhibit strange physical behavior, such as acting confused or looking disoriented. He or she may stagger or stumble. These are serious signs of heatstroke, so call 911 before you try to help. Have your child sit down and try to remain calm. While this symptom can be frightening, your child’s disorientation may become more severe if you panic. Wipe his or her face with a cool, wet cloth, loosen any restrictive clothing, and turn up the air conditioner to ensure you have cool air running throughout your home. If your child faints or otherwise loses consciousness, call for help right away and monitor his or her pulse and temperature. Ice packs and cool cloths may still help at this point, but since fainting is a definite sign of dehydration, he or she may need IV fluids to recover. Do not attempt to move your child, and you might want to stay on the line with the 911 operators until help arrives, as they can give you further instructions on how to treat heatstroke until paramedics arrive. Summer temperatures are rising with each passing year, making heatstroke a risk for any child. However, when you know how to spot the symptoms and render aid, you can offer immediate help instead of simply waiting for help to come.